Receive our early bird rate if you register before March 31, 2019! ﻿Camp Tanner Inc. welcomes you to CAMP TANNER., located at Bill Tanner Kin Camp in Embro, Ontario. In the heart of Southern Ontario, Camp Tanner is a small camp with BIG spirit. For six weeks, every Sunday afternoon until Friday night, each camper enjoys a jam packed week of affordable fun provided by an incredible staff team. Each week is created with a special and unique theme. Daily activities include team-building with low-ropes, crafts, games, nature sessions, sports, Christian education, swimming, themed meals, campfire, and more. Campers at senior camps participate in their choice of coached activity or sport throughout the week while junior campers choose their own adventure from a variety of games, high and low energy activities, and self-directed crafts. ​Summer Departure: Friday at 7:00 pm. Early Bird Registration for is open now and maybe done online or by mail. 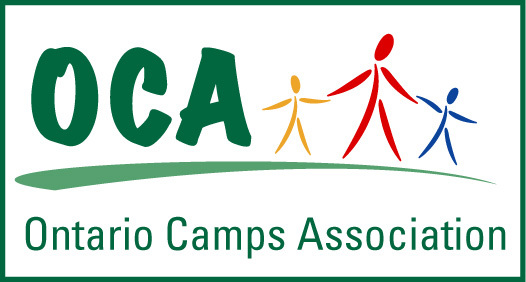 Campers must meet the age requirements of each camp as of December 31st, 2019. If a week is full (indicated in red) please contact our registrar for more details - a space may open up or we may find a place in a comparable week. Please visit our Registration page for more. Registration for May Weekend and Summer Camps are now available online and by mail, at early bird pricing. Summer registrations increase in cost on April 1, 2019. Details can be found on our registration page. Applications have been extended - apply by Friday March 29, 2019 at 9:00 am. Please visit our staff page for more information. To register for a tour, see our facilities page! Camp Tanner invites you to give the gift of Camp to your grandchildren, nieces, nephews, and children for any occasion. Print a registration form or give your child a link to our website, then visit our registration page together to register! The Camp Tanner Cookbook from 2006 has been reissued! Get yours today by calling Sandra at 519 475 4833. Cost is $16.00 each or 2 for $30.00. WANT TO BOOK THE CAMP? Camp Tanner's big fundraiser each year is our Dinner Auction. This year our Auction was held on Saturday February 2, 2019 at the Embro Arena. The meal was catered by Janice's Fine Country Catering and the auction included over 400 items. This year's auction was a success despite winter weather. With the help of our volunteers and sponsors, we managed to raise approximately $13,000!!! Thank you to all those who donated their time, energy, auction items and hard earned money to support our event. Camp Tanner is a registered charity with the Canada Revenue Agency. We have 6 weeks of camp which operate on a non-profit basis and rely on donors each year to keep our camp running. They also help support some camper registrations, allowing children who could not otherwise afford camp to attend Camp Tanner. Camp provides an amazing experience for many staff and kids each year to grow and develop many important life skills. We are very grateful for everything the community around us contributes each year. Thank you very much for your generosity. To see some of our supporters please visit our Fundraisers & Supporters Page.